How long does it take to get my wheel once it's been ordered? There is a build time and it can vary greatly, I do make them in the order that they are received. All wheels are made from scratch I have no premade wheels. I try to get them out a fast as possible but the time from order to shipping can take anywhere from 2 to 10+ days Please email me mygliderwheel@yahoo.com if you would like me to try and give you a more precise date..
What is the difference between the Eco Raptor and the Classic Raptor? Mainly the Eco Raptor has limited options to streamline production, rubber gaskets, and a smaller bearing. The Classic Raptor is fully customizable, has a hard tubing gasket, and a larger, more durable bearing. Will the Classic Raptor outlast the Eco Raptor? Honestly, we think it will. The main reason is the rubber o-ring degrades after years of use, where as the hard tubing on the Classic Raptor is organic chemical resistant. This means that it will hold up to cleaners and urine a lot better than the rubber. Also, gliders can’t pull the plastic tubing out like they can do with the rubber. Can my glider pull the rubber gaskets out of the Eco Raptor? Yes, a determined glider can pull the rubber gasket out of the Eco Raptor. While we are willing to explain to you how to get the gasket back into the wheel, we will not replace wheels or offer any refunds in the event that this happens. If you’re worried about this happening, please purchase a Classic Raptor, which features a hard tubing type gasket that the gliders cannot pull out. What are the different sizes of wheels? The Classic, Eco, and Stainless wheels are 12″ not including the stands. The Baby Raptor is 9.5″ not including the stand. How do I know what track size to pick? 5.5″ is our standard track size for our 12″ wheels. This is suitable for two gliders to use at a time, and the largest size that will fit through most doors.. If you have a larger colony with multiple gliders that try to use the wheel at the same time, picking a larger track size is a great idea. 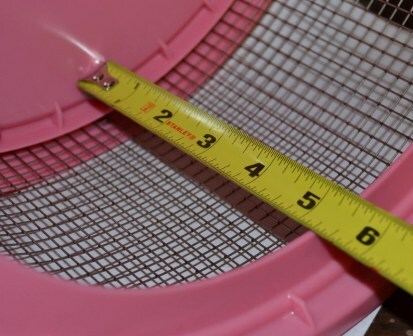 (Keep in mind, since our wheels are hand made, track sizes may vary +/-.25″). Of course, multiple wheels on different levels of their habitat is also an excellent solution. What are the benefits of having stainless steel track? Besides just being a cool looking track, it won’t rust. 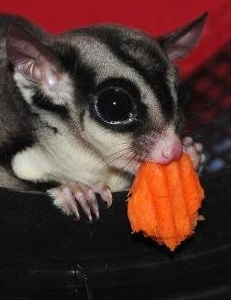 Gliders also can’t chew through it, nor will their nails wear it out, and they are very easy to clean. Do I still need to cut my glider’s nails if I use the nail trimmer inserts? As long as your gliders run in the wheel regularly, you shouldn’t have to. Please make sure to continue to check your glider’s nails to see if they are in need of trimming, just in case. How do the nail trimmer inserts attach to the wheel? They are attached on each end with a plastic plate held on by nylon screws. Put the trimming paper (rough side facing the inside of the wheel) against the outside of your wheel’s track, place one of the plastic plates over the end of the paper, insert the screws, and secure in place with the nuts provided. Do the same for the other side. What are the benefits of having the nail trimmer insert? The inserts basically file your glider’s nails as they run, increasing the amount of time between nail trims. How can I make my own trimmer inserts? Please follow the directions here. Why do the wheels ordered with a stand not come fully assembled? This is due to shipping. There isn’t a good way to brace the wheel to the stand and make sure it doesn’t get damaged when it is shipped. There are only two tools required to attach the wheel to the stand, a medium flat head screwdriver and an adjustable wrench ( you can use a 11 mm or 7/16″ wrench if you have one). You could also use pliers to hold the nut, but it’s not recommend. The cage mounts come fully assembled and after washing are ready to install. How do I measure my track width for ordering? When measured as shown, this is a 5" track. If I am having technical issues with your website, what can I do? 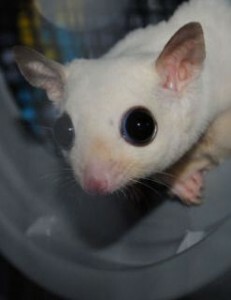 Erika Eagle, from The Sugar Glider Adventure. Who took those snazzy glider pictures? Who is your web designer?